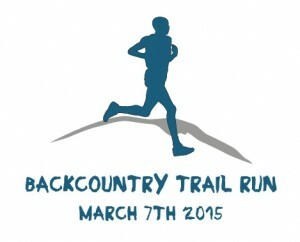 The Backcountry Trail Run was a great success! Thank you to all of our participants and volunteers. You guys rock!!! The Backcountry Trail Run was hosted at Government Canyon State Natural Area. Located on the northwest side of San Antonio, this Texas State Park has over 40 miles of hiking and biking trails that range from remote rugged canyon lands to gently rolling grasslands. The event was a 5k, 10k, half marathon and 25k. There is a distance for everyone! Our 5k and 10k trails are not very technical and are a great introduction into trail running. The half marathon and 25k course is more technical and will be an exciting challenge for all! Our aid stations will be stocked with both water and Gatorade. Our 5k event will have one aid station, the 10k event will have two aid stations and the half marathon and 25k events will have three awesome aid stations! Click here to see our course maps! We are excited to announce that we have teamed up with Any Baby Can for our charity sponsor. Any Baby Can some amazing work and we are extremely excited about being able to support their amazing cause! For more Any Baby Can info click here. All participants will get an awesome race event tech t-shirt, finisher’s medal and amazing finish line snacks! Registration includes your entry fee into the State Park for the entire day, so feel free to check out all the cool things that Government Canyon has to offer! Click here for our top finishers prize info! During our half marathon and 25k course, you will run past a set of 110 million year-old dinosaur tracks that are believed to have been left by Acrocanthosaurus and Sauroposeidon dinosaurs. AWESOME! Click HERE for more dinosaur track information! Below is a map of where all of our participants of registered from! Sign up today and get your city on the map! There are unfortunately no refunds or transfers for this event. Thank you for understanding.